Have you seen this book, Sundays are for Lovers? It’s the kind of little book you can have by your bed side and just keep glancing at and it makes you happy. 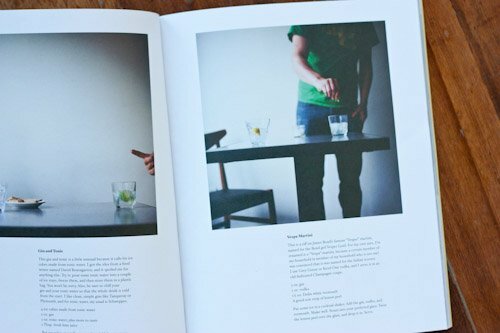 It’s curated by MAV (maria alexandra vettese) 1/2 of the blog, 3191 miles apart and features writers like Molly Wizenburg, photographers like Jonathan Levitt and artists/designers including Deb Wood and Lena Corwin. It’s a veritable visual smorgasbord of what a sensual Sunday is all about. There is a photo or illustration accompanying each contributor and then they’re asked to answer a few simple prompts about their Sundays. From spicy Bloody Mary’s and grits to dreaming about a house by the sea and sitting on the stoop in the evening…this is Sunday encapsulated. So I thought it’d be fun to answer the prompts, too as I thought about Sundays when I’m not waking up and putting on my practical shoes so I can stand and talk to customers all. day. long. These are my Sundays to come. I encourage you to make a Sunday list. It could be your current Sunday list…or maybe it’s your Sundays to come. Share it here if you’d like. I’d love to hear yours. And I like to eat: poached eggs on toast. Or jammy scones. And strong coffee. And I will smile about: the morning light, broken-in slippers, my favorite mug, possibility. Thankfully, even when I’m working I still find time to bake. And these are the most perfect Sunday treat ever. They’re honestly a cinch to put together–the components themselves take a little time which is o.k. on a Sunday when you may be putzing around the house in the morning. It’s a dessert you’ll look forward to in the evening, and by now you know how I like to eat baked goods for breakfast. So I’d encourage that, too. These galettes make the house smell like a dream. Even if you have big weekend plans, you may not want to leave. For this recipe, I used a very common and traditional pate brisee recipe for the galette crust and Tartine Bakery’s recipe for Frangipane Almond Cream. I love the combination of the beautiful, ripe figs with the slightly sweet almond cream and the flaky, butter crust. 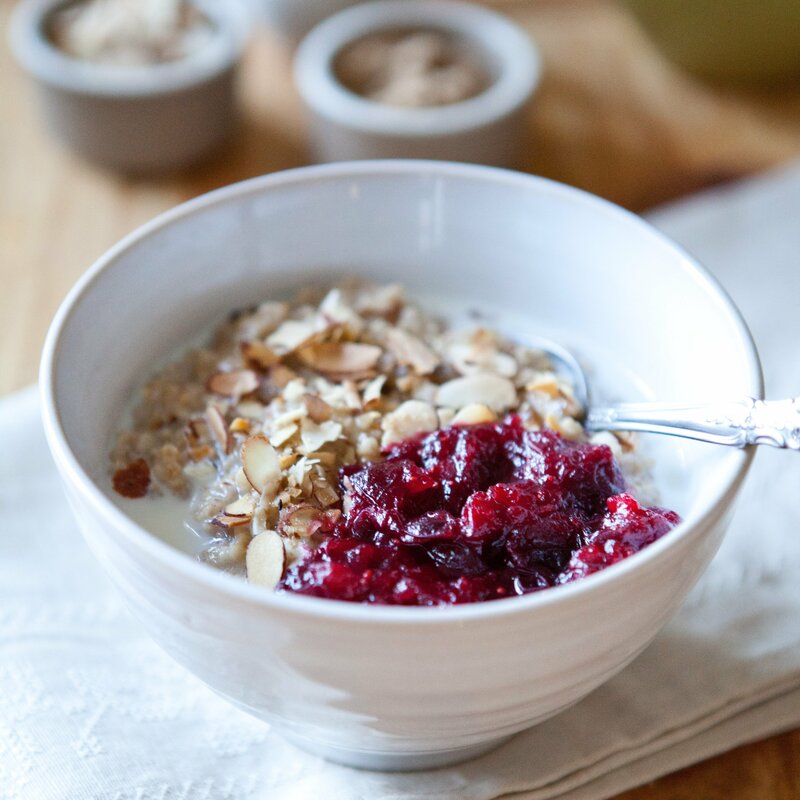 While the directions appear lengthy at first, this is really a very simple fall dessert. And it’s versatile: you could do this with stone fruit or berries in the summer, and I’m looking forward to trying it with apples. Begin by making the galette dough: Place the flour, salt, and sugar in the bowl of a food processor fitted with a steel blade. Add the cubes of butter and quickly pulse until the pieces of butter are about the size of large peas. Add the ice water through the feed tube while using long pulses until the dough comes together and sticks together when you squeeze it inbetween two fingertips. Add 1 or 2 tablespoons more water if the mixture is too crumbly. Turn the dough out onto a piece of plastic wrap and pat into a round disk. Wrap tightly and chill for at least 2 hours and up to 4 days. Line a large baking sheet with parchment paper. Take the dough out of the refrigerator and slice into 4 even triangles*. Flour your work surface and your rolling pin. Beginning with one piece of dough, quickly form it into a round shape using your hands. With a rolling pin, roll out into a 7-8 inch rounds, about 1/4-inch thick. Don’t worry if they’re not perfectly round–it doesn’t matter. Place each dough round on lined baking sheet. Spoon 2 tablespoons almond frangipane in the center of each dough circle and arrange the figs concentrically in the center, leaving a 2-inch border around the edge. You can allow the figs to overlap. Lift the pastry edge and fold over filling to make a nice, crimped border–again, doesn’t have to be perfect. Once galettes are assembled, place in refrigerator for 1 hour (this helps with the flakiness of the dough). Preheat the oven to 375 F. After the dough has chilled for 1 hour, remove from the refrigerator and prepare the egg wash: Whisk egg in a small bowl to make egg wash, and use it to brush the edges of the crust of each galette; sprinkle the sides of the crust with sugar. Bake for 50-55 minutes, until figs are bubbling slightly and edges are golden brown. Remove from oven and allow to cool at least 30 minutes. Top with whipped cream or mascarpone and honey if you’d like. Beautiful. Sunday to me means time with my husband and kids spent outside. Now more than ever I want to cherish these days. Hot coffee in hand and dreams of the possibility in mind. And when Monday comes: I do yoga and start making a new to-do list for the week. What a lovely idea! I want to fill one of those out and day dream about sundays all day long on this dreary monday! 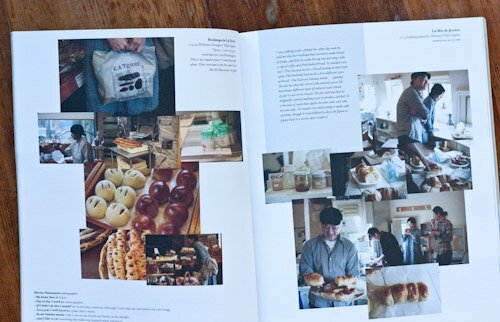 That book sounds super wonderful too...all out shined by the galette though. Wow. What a beautiful tart! I've been dreaming of fig things since those two great fig pizzas we had recently. That book looks lovely, too. Next year I will travel to: Thailand, I hope, and New York. And Portland. And maybe Chicago, too. To me Sunday means: going to the gym and the Farmers Market. Making something tasty, hopefully seeing friends, reading. Lazing around. And I like to eat: Eggs - poached or scrambled, toast or potatoes with onions. Occasionally a fun pancake. Fruit. And I will get out of bed: If I'm going to the gym: 8ish. If I'm not: never, or when I get hungry enough to get out of bed for a few minutes before getting back into bed. And get dressed around: Late morning. Ish. And I will smile about: carrying flowers back from the Farmers Market, the fact that it's not Monday. And I just may daydream about: sharing my Sunday with someone else. And when Monday comes: I'll stay in bed as long as I can, or walk to work. Beautiful! I love figs and really enjoy seeing new things to do with them. Your pictures are stunning. As far as working weekends - Meg, you're awesome. I wholeheartedly support doing a weekend job so you can do what you actually want to do the rest of the week. And you're right: this is just for now. Inspiring! Day to day I work as: a freelance writer! Next year I will travel to: who knows! Next year I will travel to: Paris! But maybe more realistically New York, but maybe even more realistically Florida. To me Sunday means: Making bread or anything too time consuming for a weekday, walking Elliot (my dog) and napping during SVU marathons. And I like to eat: Pancakes and Cinnamon Rolls. And I will get out of bed: around 9ish. And I just may daydream about: having fun sunday plans that include things like berry picking and going out to breakfast. And when Monday comes: I'll get up earlier and walk Elliot and finally get to eat dinner with my boyfriend. This book sounds lovely and makes me envious because I also work on weekends. I dream of having weekends off or at least sunday. Those are gorgeous and a great reminder to get to know figs better. Thanks for the recipe and for the book recommendation! I just love finding out about things -- books, albums, movies, whatever -- that leave me feeling inspired. It's really crucial when you spend your weekdays at a soul-sucking day job (ahem) or you have to spend your Sundays working. 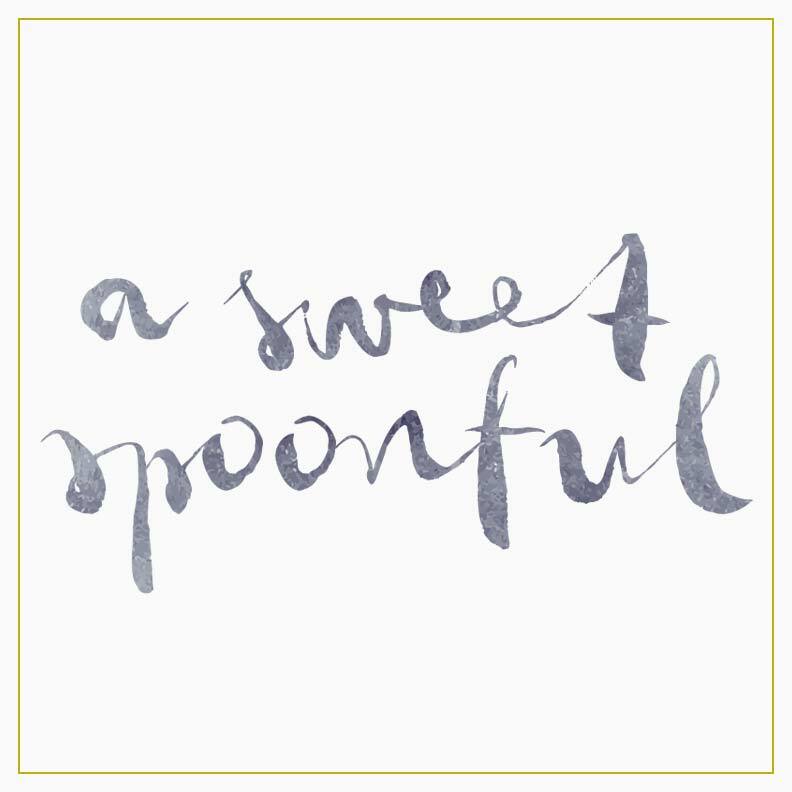 Hopes, goals and fresh ideas keep you striving for the next baking session, and for an eventual Sunday when your time is your own! And I will smile about: having nothing to do and nowhere to be. And when Monday comes: I'll smile fondly when I think of Sunday. 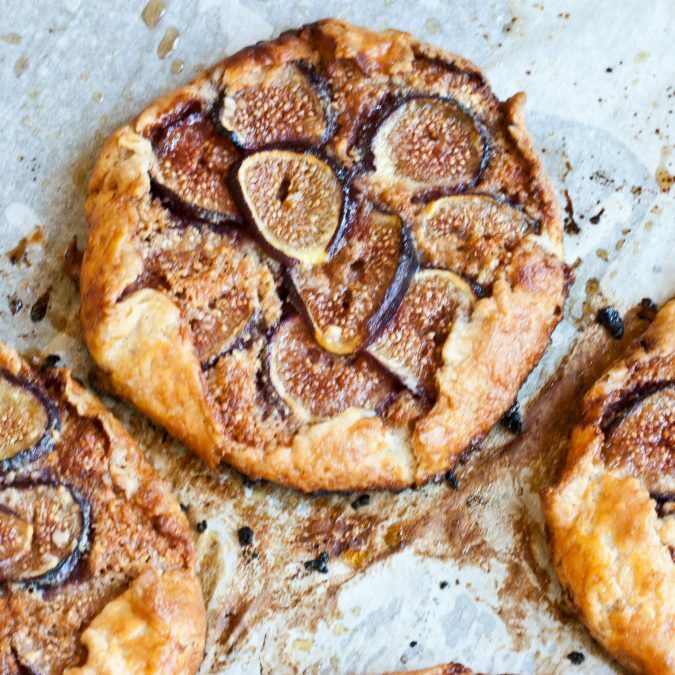 Btw, I've always been hesitant to bake with figs, but your galette recipe looks simple and really, really good. I may just give it a try, thanks! Love this Megan! I wish I could spend a Sunday with you. One of these days! And when Monday comes: I'll have more free time and a great yoga class! Everyone seems to be eating figs lately. I'm getting jealous, I'm going to have to endeavor harder to find some that look liek their worth eating. If I didn’t do this I would: maybe have a big girl job, ha ha. I'll graduate one day! Next year I will travel to: Hawaii, it's planned! To me Sunday means: staying in bed to cuddle, finishing the weekend's homework, a meal or two that I've been wishing for all week but haven't had the time to make. And when Monday comes: I’ll be back at school! If you come down here on a Sunday, I shall make you pastries, and then we can see who will eat them the fastest. By the way, I was inspired by that very same Tartine frangipane recipe exactly 2 years ago but I pistachioized it and paired it with... figs. Also, yesterday, a Sunday, I ate poached eggs on toast. Coincidence, or kismet? You decide, and while you are reflecting, please pass me another slice. To me Sunday means: If I'm by myself, it means yoga; granola, fruit, and yogurt; grading/writing in a coffee shop; and phone dates. If I'm with my partner, it means sleeping in and then listening to music while he makes pancakes, mimosas, and coffee. And I like to eat: See above. And get dressed around: See above. And I will smile about: Snuggling. Fantastic and lovely. My sundays are up at 7am with a toddler... BUT they used to be more dreamy and will be again. though, in a way, eating syrupy pancakes with a toddler is really fun, too. My home base is: where my loved ones are. where the real hugs are at. If I didn’t do this I would: cook. To me Sunday means: getting up early for some quiet time in my robe, with coffee, before the dog needs a walk. watching sherman's joy to get an extra long walk, snuggling, cooking breakfast with matt, and leisurely eating it. good books. writing. cooking something fantastic for dinner. bad reality tv. And I like to eat: frittata or crepes...i love to make my "arduous" meals on "sunday". it's nice to take time in the kitchen. May I just tell everyone that the these galettes, particularly the pastry, were to die for!! My Sunday looks a lot like Monday, or maybe Thursday but what makes me smile any day is seeing Megan in the kitchen getting ready to bake something delicious. What a lovely post, so artfully capturing the quiet joy of Sundays. And I love, love, love figs. So enjoy reading all your posts but this one ranks among the best. Pictures and words pop off the page. Have a blast @ the Baking Institute! 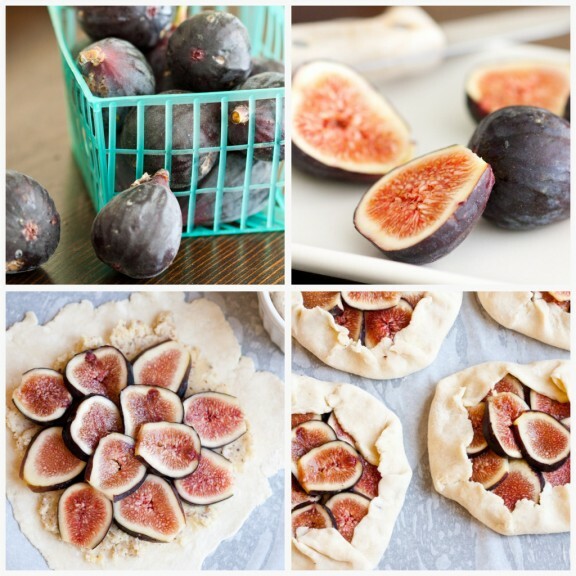 I love fresh and dried figs, this looks so rustic and yummy! Sundays usually means to do laundry, being lazy in yard, play with my kids and catch up on reading and do some blog commenting. To me Sunday means: eggs. brunch. sunlight. staying wrapped up in bed, cuddling. sleeping till noon, and then waking up and the TV is still on. Love it. I am always looking for new things to do with figs and i just love this idea. I think your blog is great. Those are such beautiful galettes! Mmm, that's the problem with having fellow food loving friends, you will always be hankering for whatever they're having. LOL. My home base is: suburb of Vancouver, BC where it gets more snow when it snows, and the difference in weather is a matter of a 5-mile distance! And I will get out of bed: without an alarm...hee! And get dressed around: only if I'm going out. jammies, baby. And when Monday comes: I have leftover baked goods to tide me over hundreds of emails, voice mails and rinse, repeat. -Erin: Italy in the fall (gasp!). Fabulous. -Rachael: I heart reality tv. Especially on Sundays. Shannalee: I love that under travel you put "who knows!" although I'm sure I'll read about a few fun excursions. Unplanned=good. -Janet: hooray for fun pancakes! -Danielle: Like the Sunday spirit in the "whenever I feel like it" response. -Janae: Tell me what you think if you make the galettes. Do it! And yes to writing, too! -Anna: I've always wanted to go to Montana. 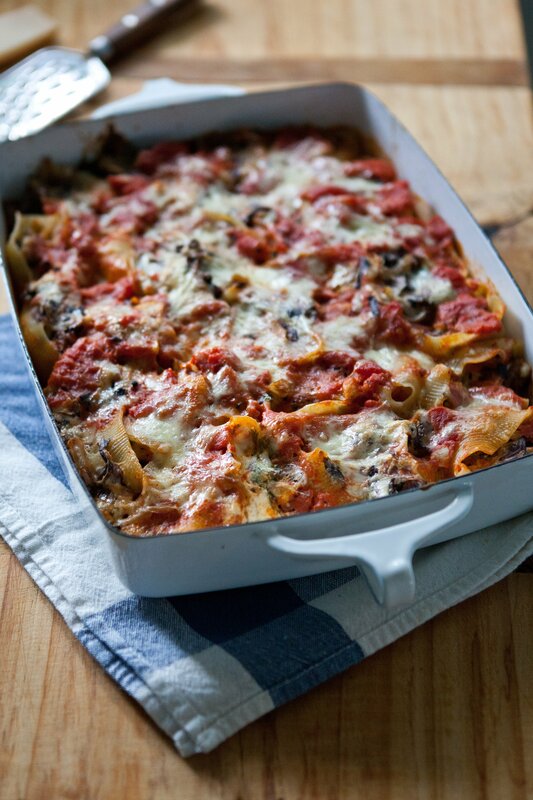 -Dana (Funky Kitchen): I love that you save your appetite for a nice dinner on Sundays. Smart. -Dana (Treat): this is clearly why we get along. Basically baking, reading, cooking and knitting are four of my favorite things. Gorgeous post. Now I know what to do with the figs that have been whispering to me at the market. I'm also a freelance writer, and also work most weekends. A good Sunday for me these days means having a little time to read food blogs or a cooking magazine, and if I'm super-lucky, a nap while dinner braises slowly in the oven. cute and delicious! i love sundays, sunday mornings, that light, breakfast, coffee, newspaper... perfection, like these galettes! Absolutely gorgeous... when I saw the almond, I was in. Figs need a kick in the pants. Gorgeous Tart! a lovely post, with perfect images. 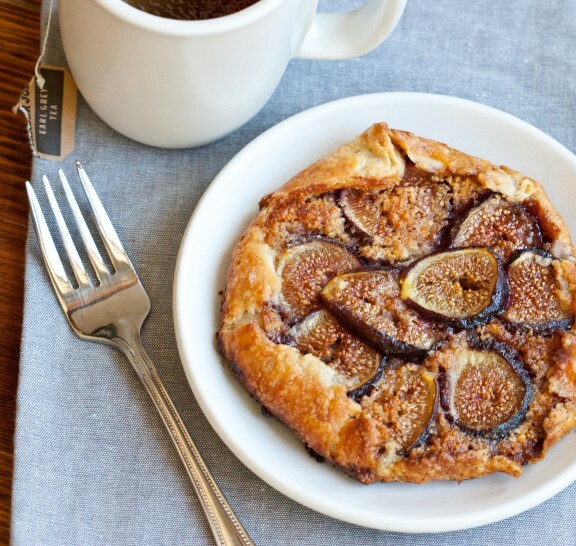 Sundays, spooning, and Rustic Fig and Almond Cream Galettes. You do know about the good things in life. Lovely post and Pictures! I just found your blog- what a treat! What a lovely post and I love this thread of comments. My home base is: Seattle but I really wish it were Paris. And I like to eat: Crusty ciabatta with any kind of homemade jam on it; good strong espresso with a biscotti on the side,small glass of fresh oj. And I will smile about:my life,my love and the peacefulness of Sunday mornings. And I may just daydream about moving to the South of France. And when Monday I comes: I will hold onto my Sunday dreams..
Hi Bob. So sorry you didn't enjoy the recipe...it is an insane amount of butter; you're right! This is definitely a simple, rustic recipe. Nothing fancy. So I can see where some may find it perhaps not that exciting. Next time maybe use your very favorite fruit and you could even dress it up with a streusal topping or an apricot glaze. I'm sure that you can use dried figs although they won't be quite as jammy/messy which makes these galettes so nice. If you do so, just rehydrate them in some warm orange juice or water so plump them up a bit. Enjoy! I made this tonight. It turned out just like the pictures! It was/is delicious. True confession...I bought some pre-made pie crust at Whole Foods and made 2 larger galettes. Love your recipes! I would love to follow you and be able to save some of your recipes on Pinterest, but I don't see that link on your website. Any chance you will add Pinterest as a link to your website? Thanks.